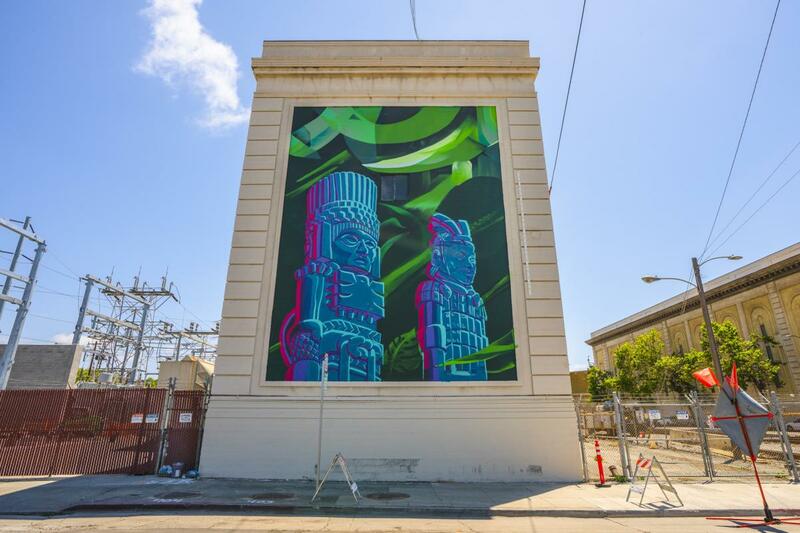 We teamed up with The Bay Area Mural Festival to put on The Oakland Mural Festival as part of the first ever Oakland Art Month. 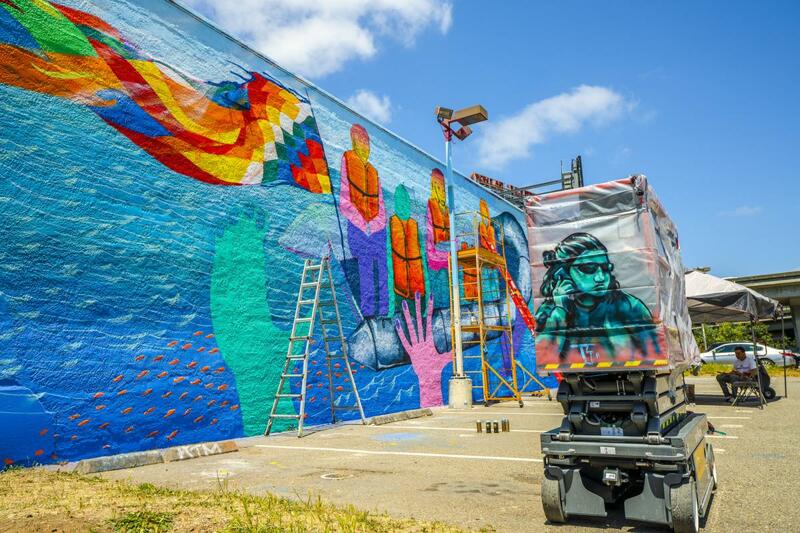 The Oakland Mural Festival brought together some of Oakland&apos;s master muralists and Oakland youth through a series of artist residencies and workshops culminating in the painting of 9 new murals in Jack London District of Oakland. Oakland Mural Festival used the mural arts to engage East Bay youth, local Bay Area artists and the Oakland community through beautification and placemaking activities. The festival calls attention to social issues and honors the legacy of Oakland’s historically industrial waterfront, and celebrates Oakland&apos;s cultural identity. Below are some photos from the installation process currently happening in Oakland. 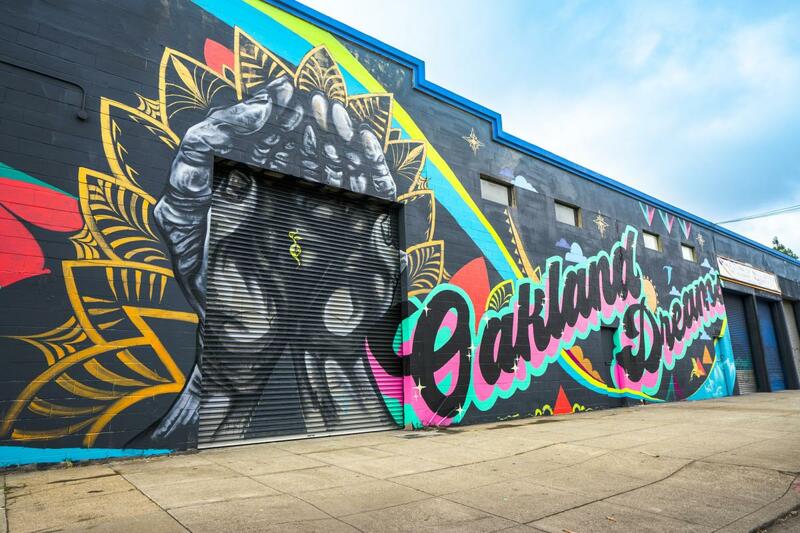 Click here for a map and more details of the program and The Oakland Mural Festival Closing Party this Saturday, May 19, 2018! Come through! Alise & Jack found their creative inspiration and one another in Oakland. Their work draws from the lush landscapes of Jack&apos;s native Fiji and align with themes of a just and kind world they aspire to create. A member of the TDK graffiti crew of Oakland Mike has been writing in the Bay Area since the late 1980&apos;s. Recently he has been painting more about his Hawaiian ancestors and returns home several times a year to teach youth how to paint murals. 3. "Turfin&apos;" - the mural symbolizes the preservation of Oakland&apos;s culture, specifically turf dancing. 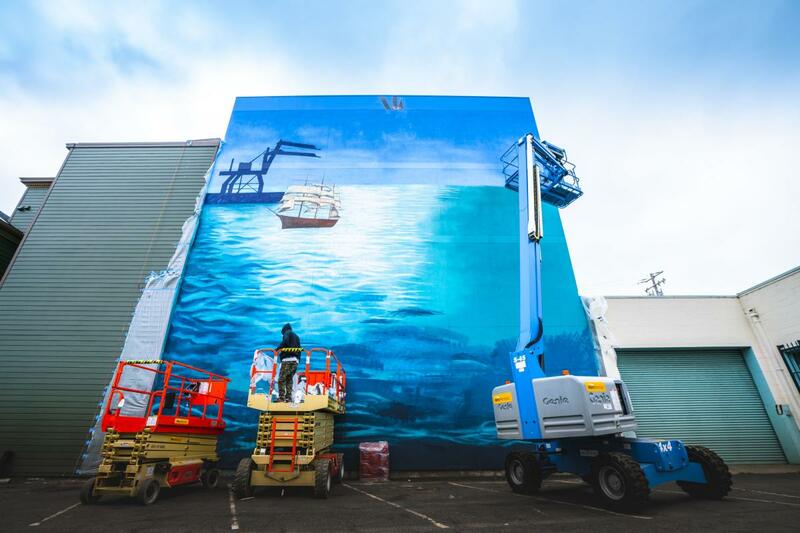 Four Oakland based artists who have been creating murals together for five years. Each mural they create is intended to touch on different aspects of the community they are painting in, and reflect that community&apos;s values. 4. 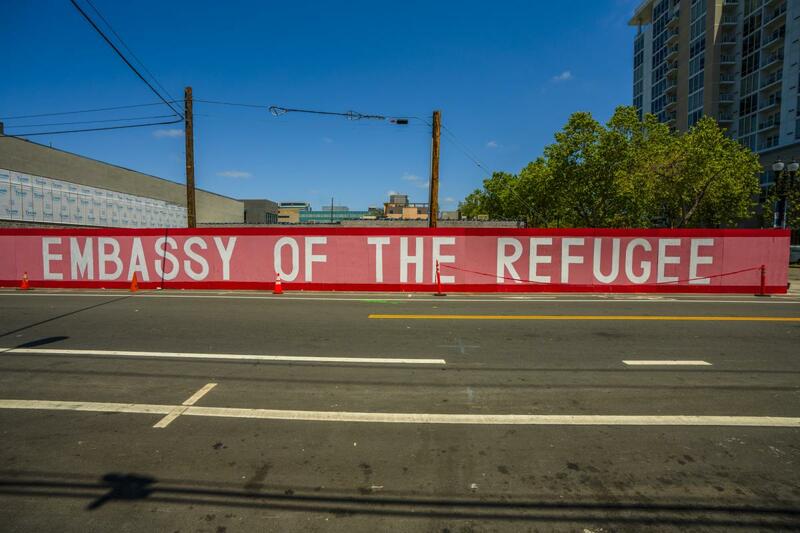 "Embassy Of The Refugee"
Caleb Duarte is best known for creating temporary installations using construction type frameworks such as beds of dirt, cement, and objects suggesting basic shelter. Duarte has created public works and community performances at the World Social Forum in Mumbai India, Santiago de Cuba, Cuba, El Pital, Honduras, and throughout Mexico and the United States. 5. "Oakland Dreams" - symbolizes a message to Oakland youth to hold on to their dreams. This mural is also a tribute to Dream of TDK Crew. Trust Your Struggle is an artist collective of visual artists, educators, and cultural workers dedicated to social justice and community activism through the medium of art. They have produced over 100 gallery exhibitions, large scale murals, and arts education workshops since 2003. Los Pobres Artistas strive to break down borders and unite people and communities through their art. 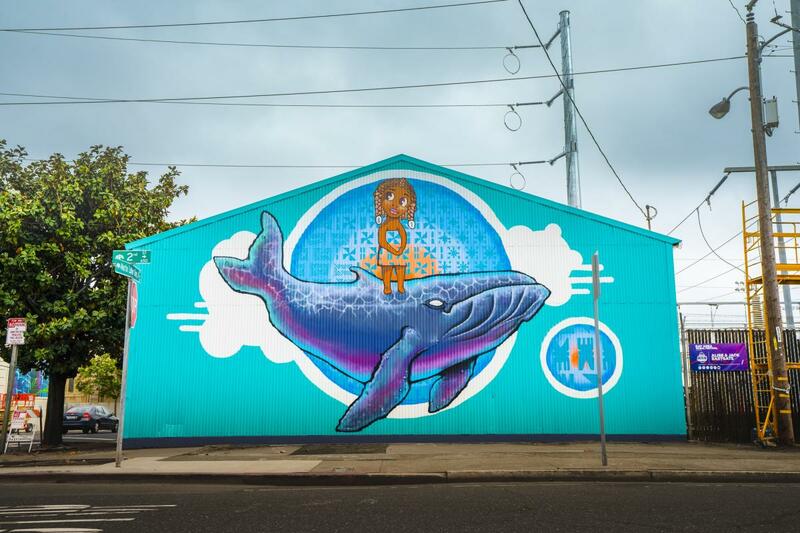 The murals draw upon the group&apos;s collective memory and aim to find balance been their Chilean ancestry and respect for the surrounding community. 7. Unnamed - featuring Cheemah, Mother of the Spirit-Fire, honoring the diversity of all people. Susan Greene is an interdisciplinary artist, educator and clinical psychologist. Her practice traverses cultural arenas, focusing on borders, migrations, decolonization and memory. 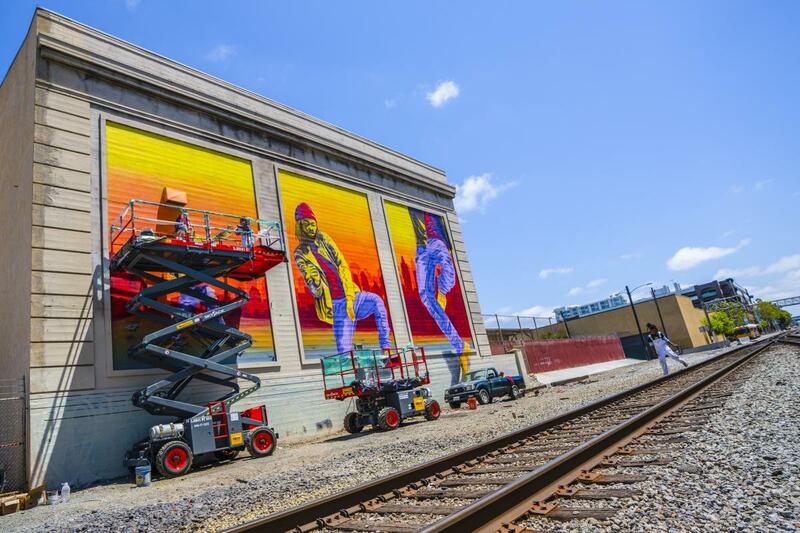 Art Forces uses community public art and technology, including murals, websites, social and new media to inspire critical thinking and action. 8. Unnamed - symbolizing the fighting spirit of the rooster, overcoming challenges. Dave&apos;s blend of Northern California academic credentials and Los Angeles street education come together in his commissioned work. 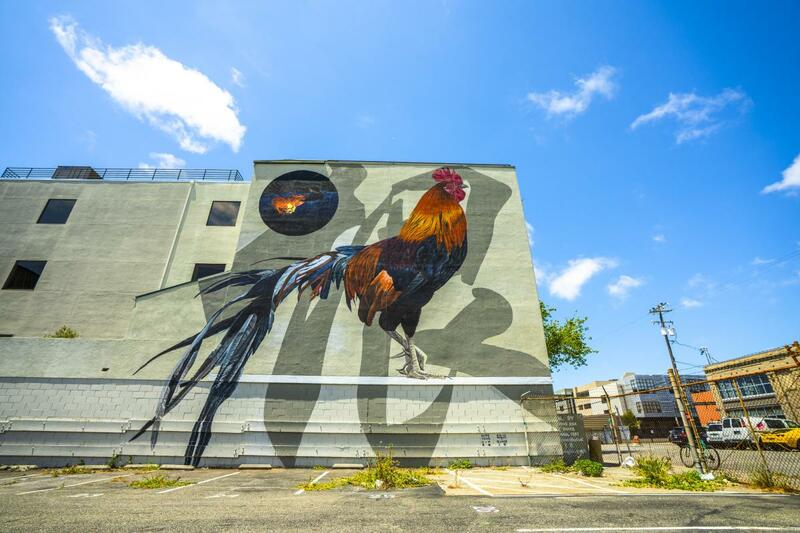 Ranging from small- to large-scale, each mural he makes is a reflection of its surrounding community and the idea that we are all searching for a place to call “home”. 9. "Love Letter To Oakland" - symbolizes generations of local artists and activists passing the torch to the younger generation. David Burke has 20 years experience working with youth to design and paint large scale murals in schools and public spaces. 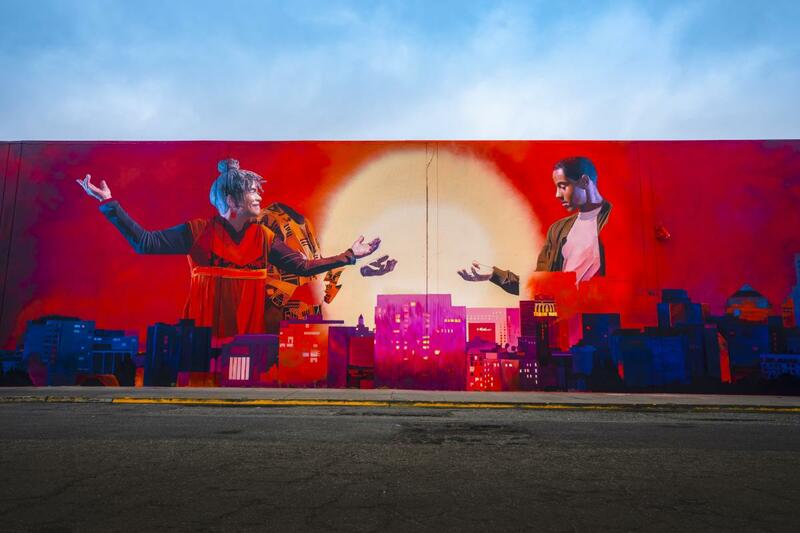 He is the art director for the Oakland Super Heroes Mural Project and co-founder of the Autobody Bridge Program for emerging Bay Area artists.